I loved Boomerang and its male MC Ethan so much that a part for me didn't really want to read Rebound because of Alison. From what I know of Alison from Boomerang, I did not like her. At all. She treated Ethan so horribly, and she seemed like your quintessential ice queen. She definitely did not seem like a character I can like, and I have no idea how August can make me root for her after everything that she has done. While beginning this book, I was so prepared to continue to dislike her! On the other side of the spectrum, Adam wasn't really a character that I wanted to read about either. I didn't feel that strongly against him just like I did with Alison, but I don't know... nothing about him piqued my interest. I didn't think that there was a story there - he seemed like your typical eccentric genius - not ordinary, but not extraordinary either. Oh how wrong I was. It turns out that I did not know both Alison and Adam after all. They are so, so different from how I initially perceived them through the little focus they received in Boomerang! I was so prepared to continue hating Alison, but that did not happen. I didn't think it possible, but August made me adore Alison! Heck, I actually consider Alison's character development the strongest aspect of Rebound. She may have made terrible choices in the past, but she's aware that there are consequences that she has to face, and she's facing them head on. August also carefully explored Alison's character to show us just why she made those choices and those decisions, and while I would never excuse the fact that she cheated on Ethan, I kind of understand why she did. Also, I like how she owned up to it, and made no excuses for what she did. She made mistakes, she's sorry, but she's also ready to move past them. Alison has matured so much from what we know of her from Ethan and the first book, and every single thing I discovered about her (like her affinity for horses, and her friendship with Paolo), I loved. And now... let's talk about Adam. Adam Adam Adam. Well... one thing is for sure - he is definitely NOT a boring character. There is so much more to him than that eccentric boss we saw in Boomerang, and you would be glad to know that August peels off his layers one by one. Off the bat, I love that he put so much work and effort into Boomerang, and you can see just how much his employees all adore and respect him. I especially love how protective Cookie is of him, and at the same time, just how much Adam value Cookie's opinions. (A little bit off-topic here but can we please have a book about Cookie? PLEASE. She's a STAR!) We may have had only a few Adam-Cookie interactions, but I love that August shone light on such a heartwarming boss-employee relationship. It also shows us a facet of Adam's character that we didn't get to see much in Boomerang - his warm, nurturing, and caring side. I mentioned earlier that Alison's character development was my favorite part of Rebound, but the development of Alison and Adam's relationship is a close second. It was obvious from the first chapter that there is an intense attraction between the two, and as the story progresses, that there is something more brewing. However, despite this, Alison and Adam don't rush into anything. They take the time to actually get to know each other, and to find out if that something between them can turn into something real. I like that there were more in-depth conversations between the two than quick hook-ups - I don't know about you guys, but this made me believe that they were actually serious about each other. Moreover, I loved that the focus of Rebound was never on Alison and Adam's pasts, but rather how they willed each other to finally stand tall and move on. All in all, Rebound made for a great second book in the Boomerang series. 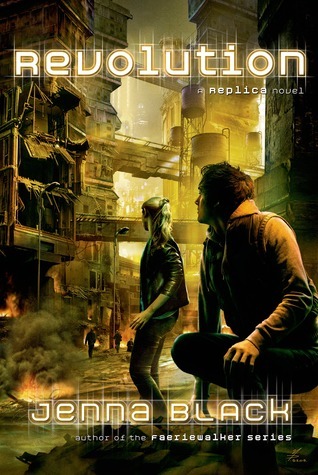 I actually liked this one better than I did Boomerang - I found it easier to connect with the characters, and while Rebound had more angst and the whole 'secret past' plot line, it didn't deter from my enjoyment while reading. It also introduced us to more supporting characters who I would love to read more about in the future, and it allowed us to discover more about the characters whom we already know. If you're looking for a fun NA read with a little bit of angst (but not too much! ), Rebound is the book for you! Rebound is now available in Fully Booked. I'm giving away 2 copies of Rebound, and as long as you live in the Philippines, you're eligible to join. Thank you so much to Fully Booked for sponsoring this giveaway! I was so hesitant about Alison's character too, but I loved how these two authors were able to make me fall in love with her and understand why she did what she did. I loved Adam too and together, they were so adorable! I'm so glad you enjoyed this one as much as I did, Lyra! I WANT A COPY OF REBOUND BECAUSE I HAVE BOOMERANG AND I WANT TO HAVE THIS AS WELL! THANKS SO MUCH FOR THE AWESOME GIVEAWAY! I want to read this series, been hearing good reviews, sounds a really great and I love the new adult genre. I can't wait for this one. :) Thank you for the giveaway. I agree with you! Alison's character development was the best thing in this book. I was a bit nervous when I found out that this was going to be about Alison and Adam, but heck! Noelle August writes amazingly that I fell in love with this! Absolutely positively loved your review, can't wait to read Rebound for myself. 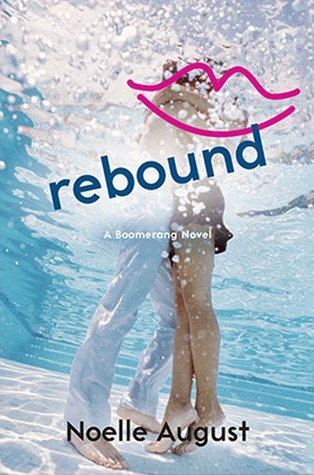 Someone told me that I should read Boomerang first but I love Rebound more yet I haven't have one yet.I badly want a copy of this book, the synopsis immediately got my attention. Hope to win! Thank you for this wonderful give-away! I love your review! i really get interested to read the story,thanks for the review.. I really liked your review! This is why I wanna read Rebound. I'll probably start reading Boomerang now. I loved Reboud! It makes me feel different in a hundreds of ways I can't even explain! Thanks for all, this review inspired me!